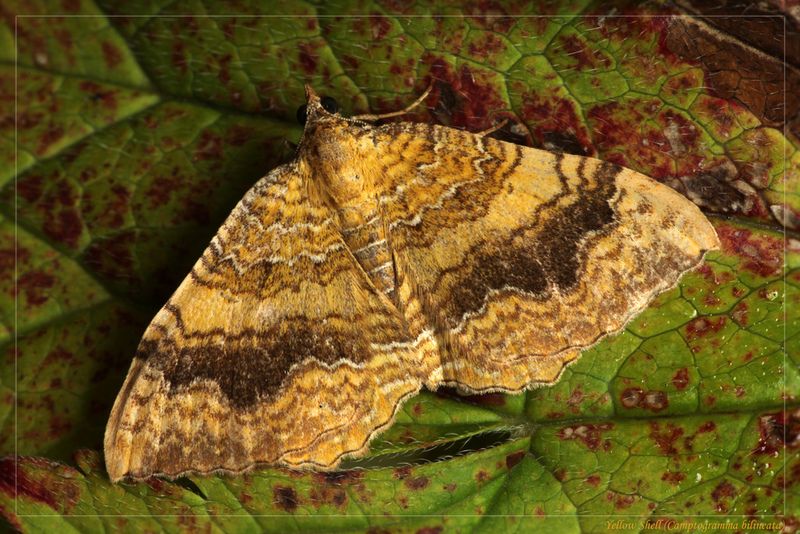 Variable in both size and colour, this attractive moth’s colour and pattern are distinctive and unmistakable. The combination of the yellow/orange ground colour and fine wavy cross-lines is unique. One generation, late May to August. Cleavers, Bedstraws, Docks, Chickweed, Wormwoods and Sorrels. Hedgerows, gardens, fields, meadows, downland, heathland, moorland.